I had a lovely party to look forward to on Saturday night so I made sure I ate lightly and healthily all day. I started with a delicious breakfast which featured raw buckwheat groats. Buckwheat is full of fibre and valuable minerals and flavonoids. 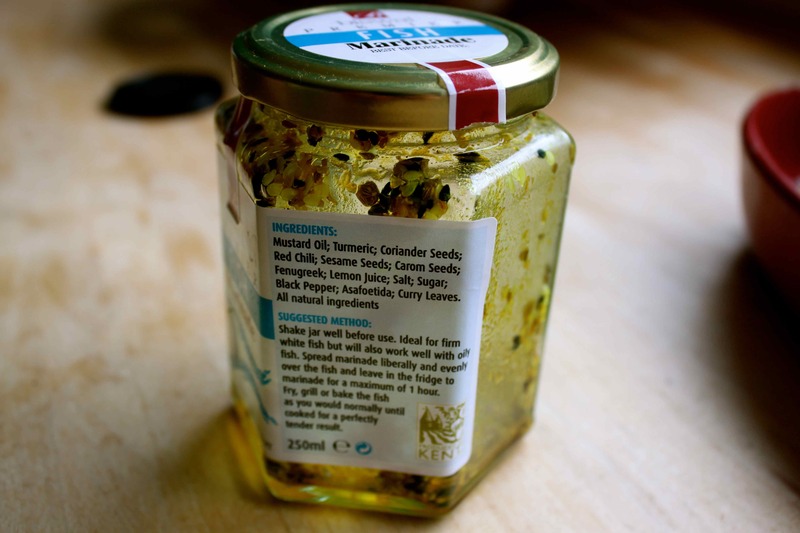 Read here for more information about how it can help reduce cholesterol and other significant health benefits. 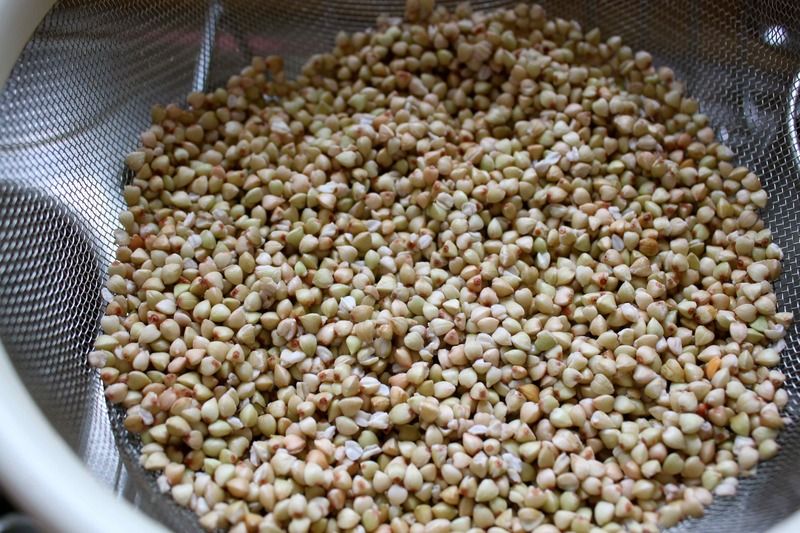 To eat buckwheat you can cook it like porridge but I like mine raw so I soak it overnight in water. Place the portion you want to eat in a bowl or jug and cover with water. It goes slimy which is the starch coming out so give it a good rinse before using it. Then serve it with yogurt and fresh fruit or make a parfait! This is very easy but you need to prepare the night before. 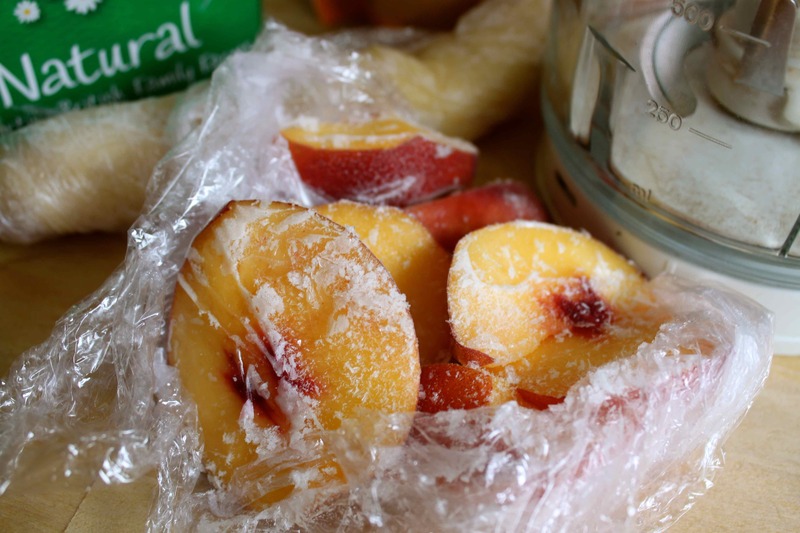 I had some nectarines which had begun to go soft so I cut out the soft/mouldy/mushy bits and froze the rest. I wanted to make a fruit soft serve which has the consistency and feel of ice-cream. 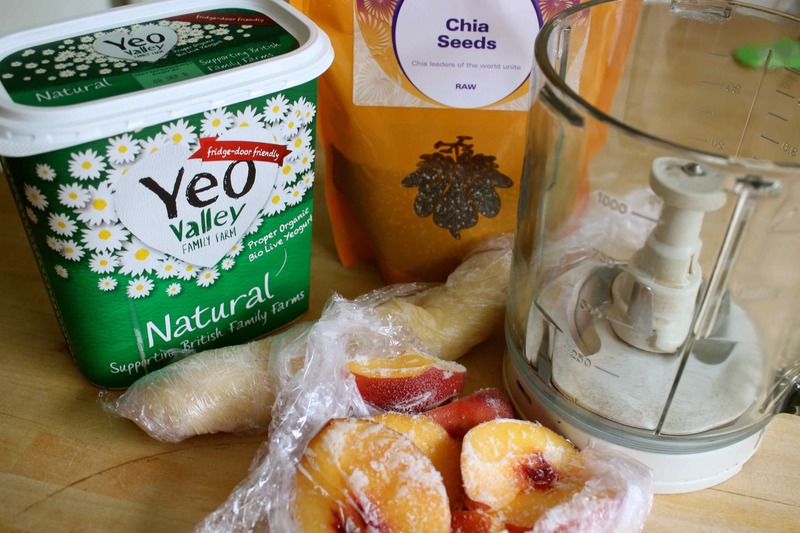 All you have to do is freeze the fruit and then process in a food processor. I used my food processor rather than Vitamix/blender as it makes a more whipped and colder soft serve. 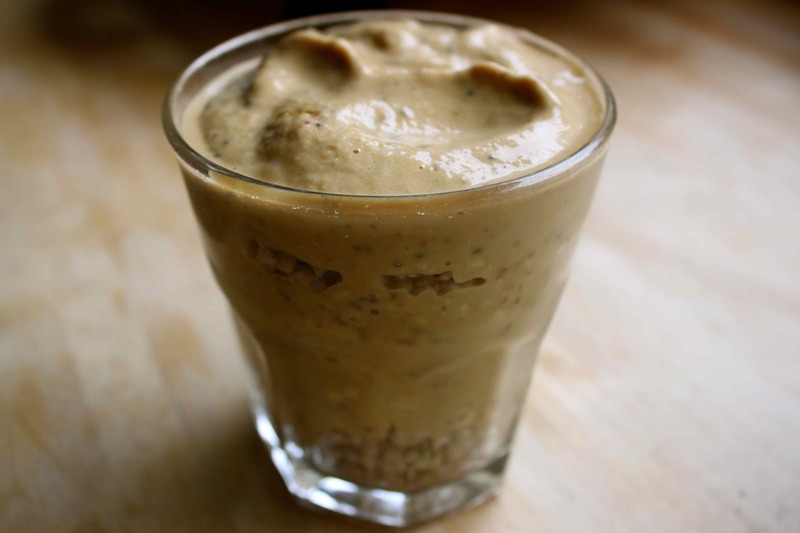 Place banana, nectarines and yogurt in food processor and blend and pulse until completely smooth. Add the chia seeds and molasses and blend until well mixed. 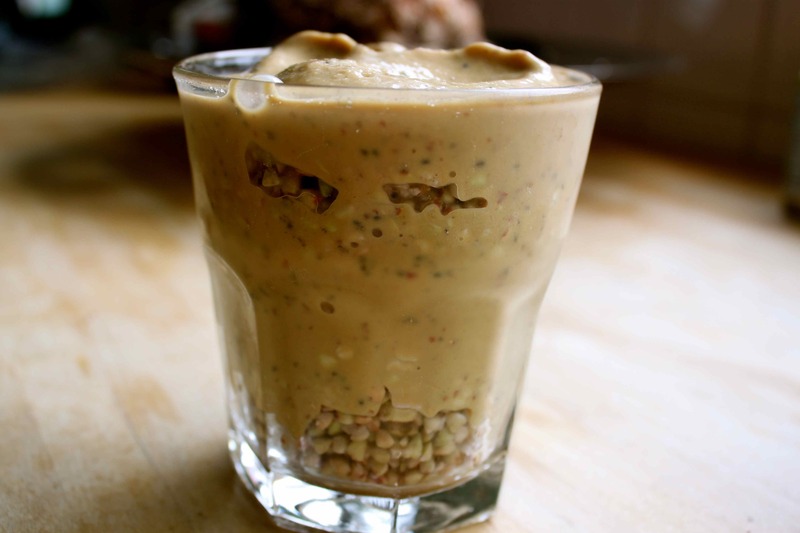 Layer the buckwheat and soft serve in a glass and serve. 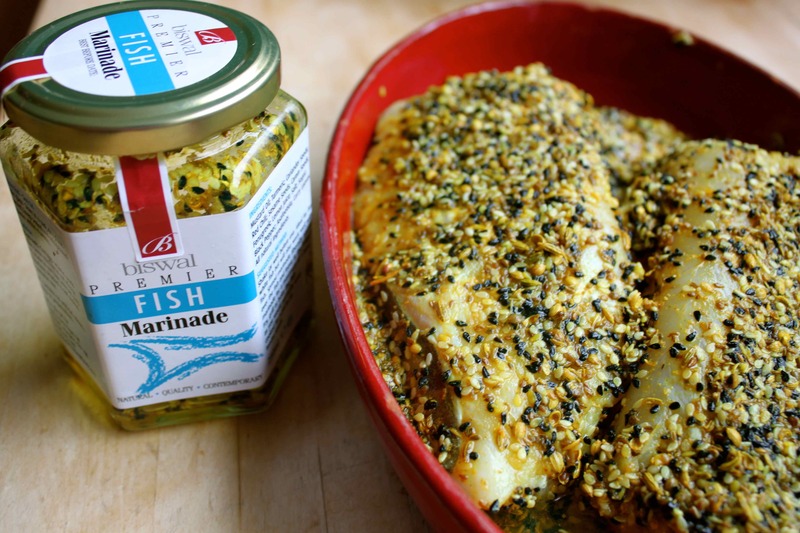 Lunch was some lovely cod I bought in the fishmongers at Hartley Dyke which I marinaded all morning. I say we had this for “lunch”. My timings were off today so we actually ate at 6pm. Well, I was busy doing a dog walk and having a leisurely cuppa with Suzanne and then spent 3 hours at the hairdressers. 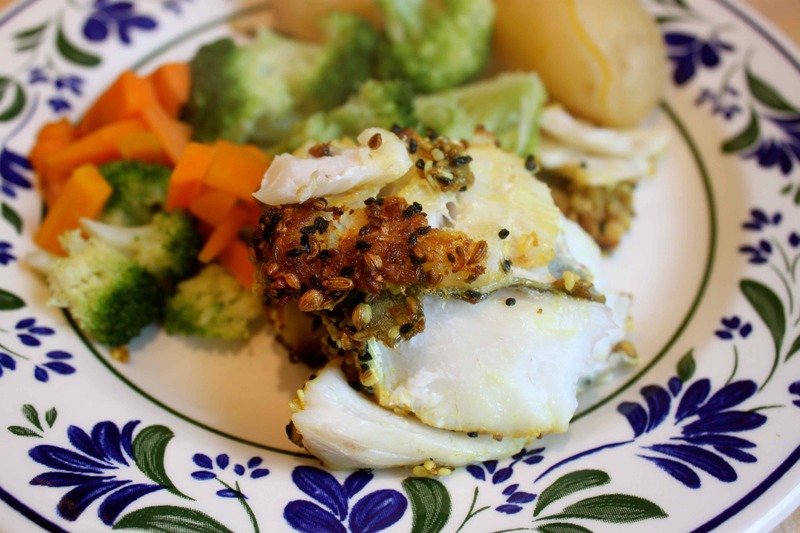 I marinaded the cod for about 6 hours and then fried it gently on a ridged pan. It was a very thick fillet so when I thought it was nearly cooked, I covered it with foil and left it to sit in the pan, with no heat for about 10 minutes. It came out perfectly. I served this with potatoes and carrots from the garden and broccoli. Broccoli from the supermarket thanks to the caterpillars! This variety of potatoes is ‘Shirley’ and they are a lovely firm consistency with excellent flavour. I confess I did eat my potatoes with butter and salad cream. Party time 🙂 Lovely Lisa always celebrates her birthday over several days and this year was no exception. 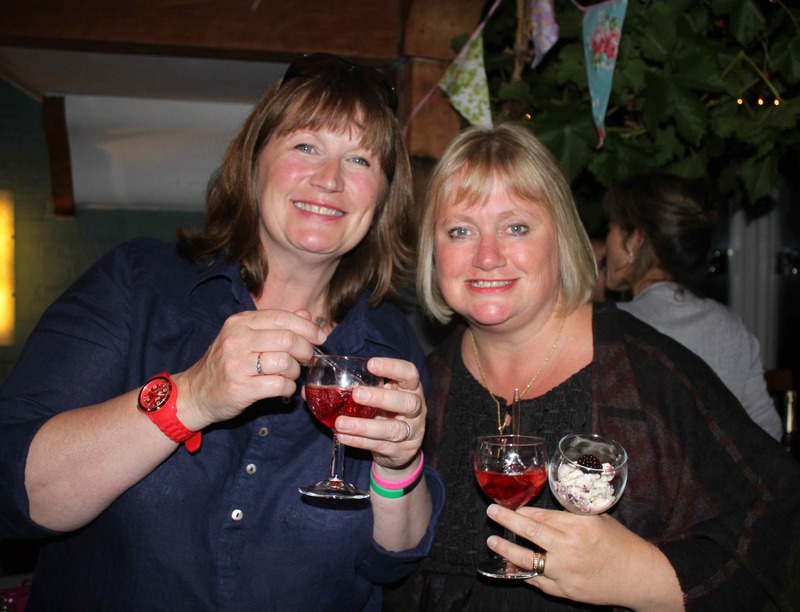 She hosted a cake and fizz party which is a wonderful idea. 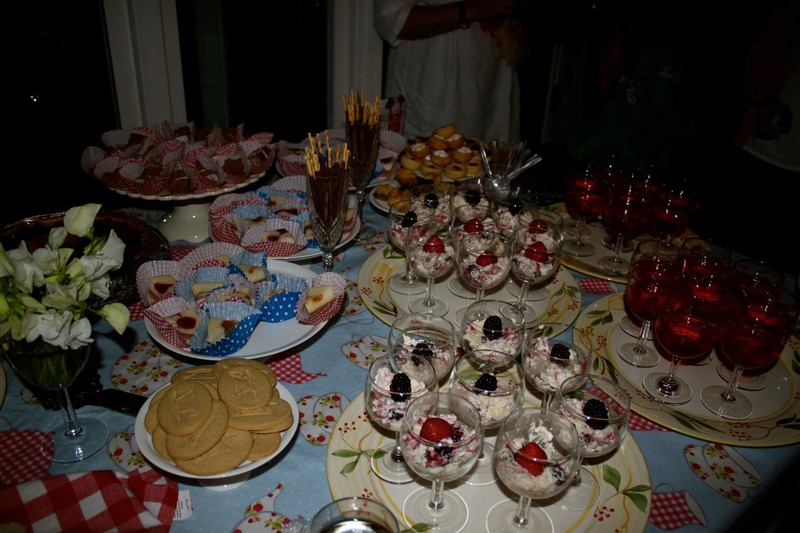 There was some cheese too but mainly the food was a wonderful array of cakes, chocolates, biscuits and Pimms jellies and Eton Mess. Caught in the act – Lisa made me 🙂 I suspect I tried everything. At least once. Oops! I had a lovely evening, mainly due to having a chance to catch up with so many local ladies. I have said it before, but I am going to say it again – I am so lucky to live near so many wonderful women. It was so good to see you last night, Lisa, Marion, Rebecca, Vicky, Mirella, Suzanne, Clare, Elaine and Michelle. 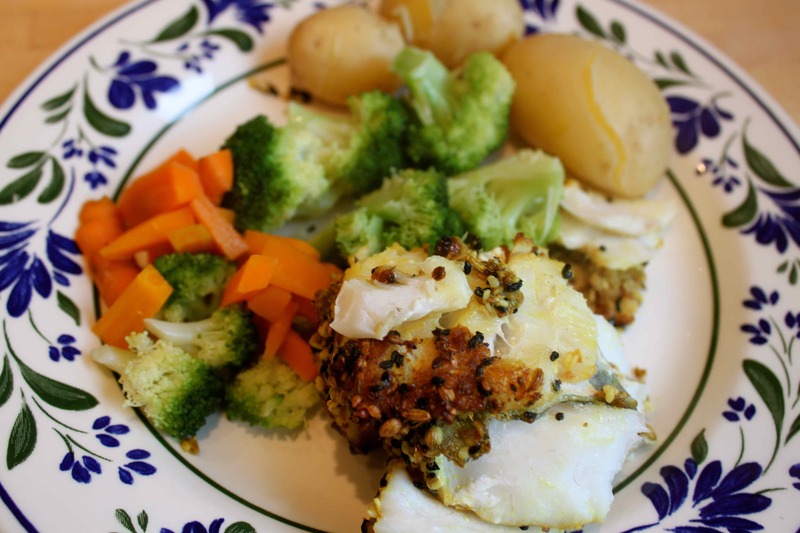 This entry was posted in Grow Your Own, Nutrition, Recipe and tagged Buckwheat, Cod, Nectarine. Bookmark the permalink.